For many law enforcement agencies, bulletproof Kevlar vests for K9s are not in the budget. Through non-profits like Keeping K9s in Kevlar, funds are raised from community donations to vest K9s in need of assistance. 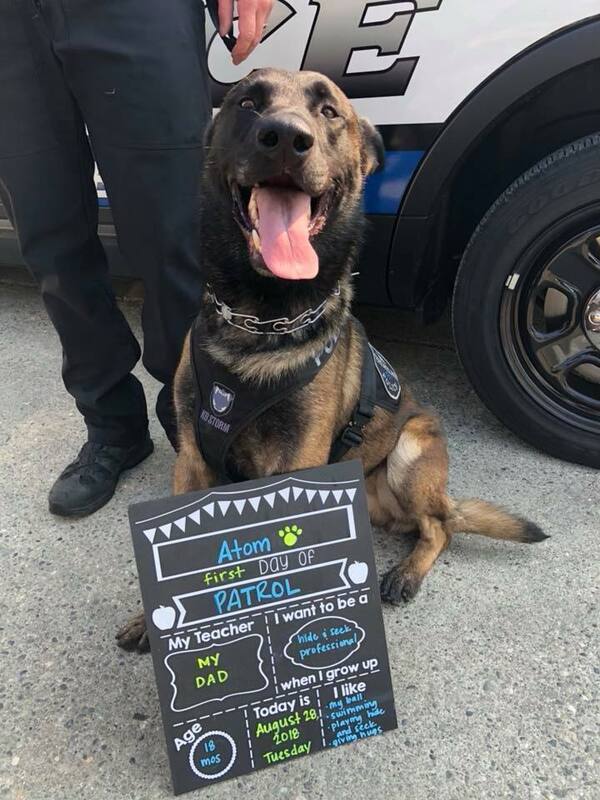 Keeping K9s in Kevlar started a fund-raising campaign to buy vests for the King County Sheriff’s Office’s newest K-9 partners, K9 Atom of Shoreline and K9 Niko of Sammamish. The vests come at a high price, $2,560 each. K9 Niko, a 19 month old German Shepherd / Belgian Malinois mix, is certified in tracking and apprehension with Deputy Treadway as his handler. The K9 Storm Patrol SWAT Kevlar vests are custom fit, protect against shrapnel, stabbings, and common handgun bullets. They also allows for rappelling and have a lifetime guarantee. Kendra Cook, Founder, K9 Handler Assistant, of Keeping K-9s in Kevlar, put out a plea for funds on September 17, 2018. Then Christie Malchow, the Mayor of Sammamish, contacted the Ron and Don Show on KIRO radio. She and the two deputies and dogs went on the show Monday, September 24. Ron and Don frequently hold on-air fund drives for causes they believe in. They have a huge and supportive audience - The Ron and Don Nation. That afternoon, while Atom played under the desk, Ron and Don easily raised enough money to outfit Atom in Kelvar - as well as Niko and another dog named Ace. K9 ATOM needed a Kevlar vest to protect and serve, and The Ron and Don Show on KIRO Radio Nation got it done. K9 NIKO and K9 ACE too! Thanks to everyone who donated! Deputy Holmes says that once Atom gets the vest he will need to do training with the vest because of the additional weight. But now he will be as well protected as the other officers. Keeping K-9s in Kevlar is a group of K9 handlers and an assistant. No one is paid, 100% of donations go to the K9s and are tax deductible. There is no cost to handlers or agencies. 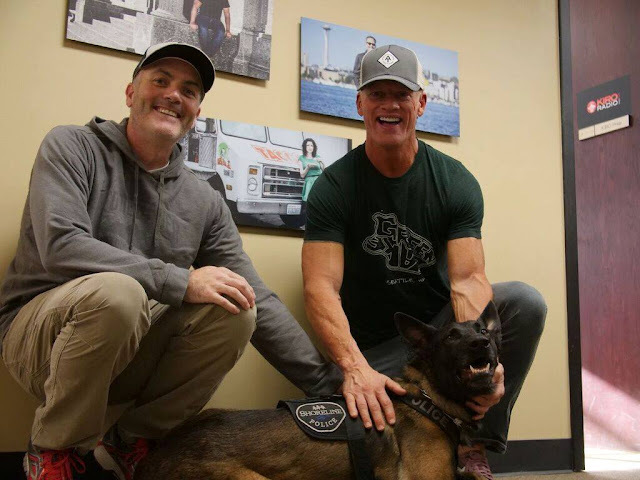 Keeping K-9s in Kevlar is a Non-Profit 501(c)(3) under the Whatcom County Sheriff’s Office Support Foundation.